How do manufacturers use the cloud? | Faction Inc.
How do manufacturers use the cloud? Businesses across the board are finding the advantages of cloud computing, and the manufacturing and distribution industry is no different. In the past, businesses in this sector have been mildly confused about the application of the cloud and how it would impact their operations; for instance, a MintJutras survey from 2013 found that 49 percent of respondents weren’t sure about the difference between single- and multi-tenant software-as-a-service architectures. However, decision-makers in this sector have been slowly inching toward the cloud since the MintJutras survey was conducted. The IDC Manufacturing Insights report “Business Strategy: Worldwide Cloud Adoption in the Manufacturing Industry” published in early 2015 found that the cloud-first mentality is spreading throughout the field.A majority of manufacturers across the globe are now utilizing the cloud, with 66 percent using public environments and 68 percent using private ones for more than two applications. “Traditional IT spend is clearly on the decline, and manufacturers must update their cloud roadmaps to ensure their investments benefit the business,” said Kimberly Knickle, research director at IDC Manufacturing Insights. In an interview with The Belfast Telegraph, Daniel McCusker of BlueMAC Manufacturing in the U.K. stressed that the cloud is helping manufacturing businesses develop and implement product designs more quickly and effectively, citing 24/7 data access as one of the key benefits of cloud computing. Indeed, business agility was cited by 71 percent of respondents to the survey conducted by the Harvard Business Review Analytic Services earlier in 2015. Investing in cloud infrastructure allows companies to improve their overall time to market while increasing productivity. This, in turn, provides greater flexibility when it comes to being able to change business operations. Data synchronization is another thing that the cloud enables for businesses within the manufacturing and distribution industry. By implementing cloud-based applications that sync data across an organization, companies don’t have to worry about having inaccurate data customer and product data. After all, collaboration is made easier with cloud-based appliances, and being able to communicate, organize and otherwise maintain massive amounts of data is something the cloud is helping manufacturing businesses accomplish. According to TechTarget, data management in the cloud allows manufacturers to hasten technology deployments and reduce maintenance costs in the long term. 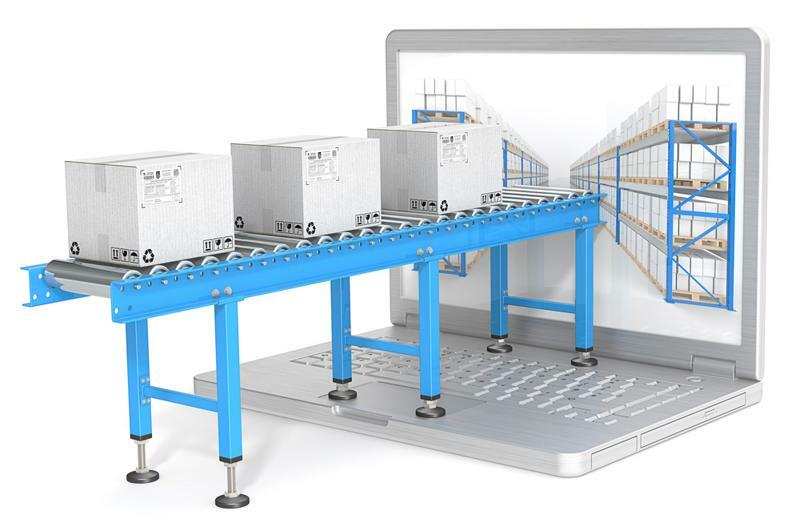 The cloud is helping manufacturers stay on top of the supply chain. In a recent Forbes article, cloud expert Louis Columbus made the case that the cloud is helping manufacturers stimulate global growth through the use of cloud-based data management tools and enterprise resource planning solutions. In addition to enhancing the speed at which business is done in the manufacturing and distribution sector, another benefit of cloud computing is in being able to scale and support suppliers from around the world. Columbus noted that manufacturers typically rely on outside sources for around 70 percent of their components, so being able to effectively communicate with every part of the supply chain is crucial. The cloud has a lot to offer businesses within the manufacturing and distribution industry. As cloud infrastructure becomes more widespread, they will no doubt find new uses for virtual applications and data management technologies, especially as we look toward 2016 and beyond.